Montreal shoot for Cadillac Fairview. 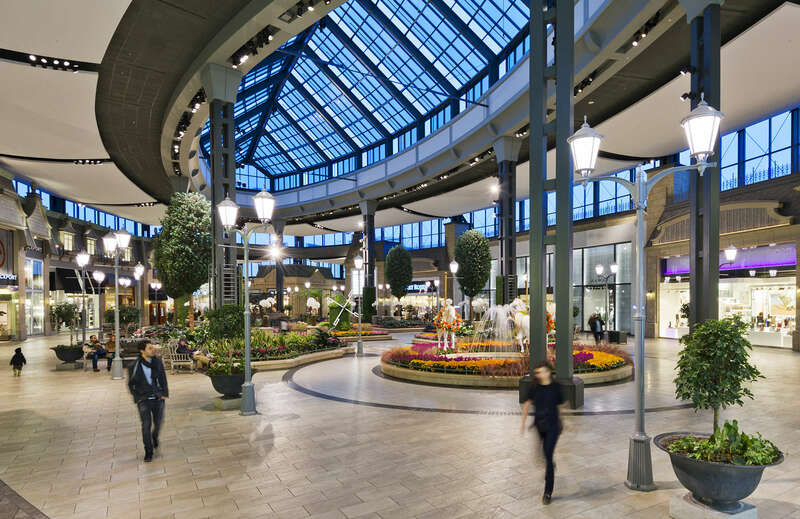 The last part of the CF National assignment tour brought me to Montreal to shoot Carrefour Laval shopping centre, Windsor Station and the city. At Carrefour Laval much more character than at the average shopping mall, very pleasant ambience, a European feel. At Windsor Station CF is in the process of redevelopment, an office high rise adjacent to the historic site. 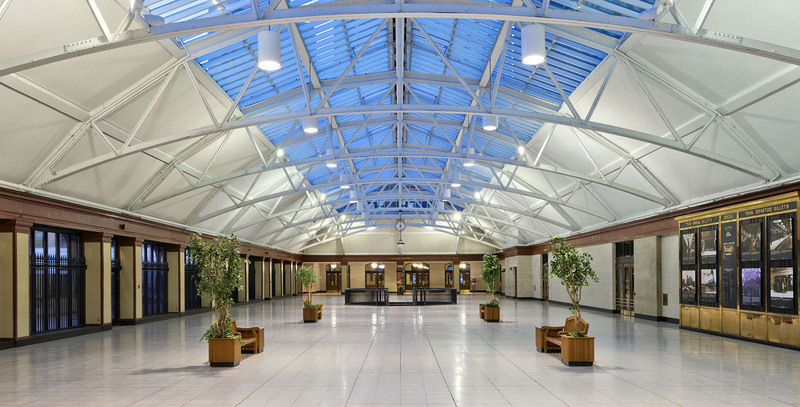 The station concourse is an interesting place to photograph, a large open interior space which has a magical atmosphere around dawn when I photographed it. Part of the Montreal brief was to capture the city skyline, and after an afternoon of scouting around searching for the optimum viewpoint, I ended up on the the Formula One race circuit Gilles Villeneuve, just the ticket – used 80mm focal length and captured it at dusk.